Melissa Cartier: What to Wear for your Holiday Portraits - Ask the Experts! What to Wear for your Holiday Portraits - Ask the Experts! Welcome to Blogmas! Every weekday, from December 1st until the New Year, I will be putting up a Holiday themed post! There will be posts about fashion, food and some really exciting collaborations! So sit back and enjoy Blogmas! Now, onto our first holiday themed post! I see this question asked on social media all the time. Family photos are approaching and mama is trying to organize everyone’s outfits. But the question of what to wear hangs over her head. Should it match? Patterns or solids? Should we dress up or stay casual? So they take to Facebook and ask their friends but the advice ends up so varied! 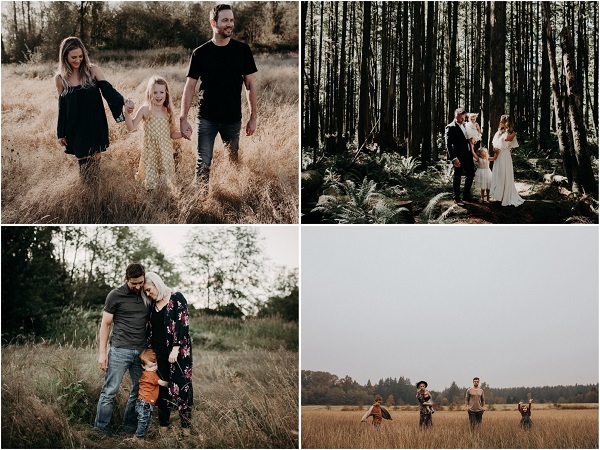 I asked a few of my favourite photographers with a variety of photography styles what they recommend a family wears for family photos! Hopefully this will help if you’re getting portraits done for the holidays this year, next year, or another time during the year. Now without further adieu, let's hear from the experts! For me, it’s all about coordination over matching! You don’t have to all be wearing the same colour for it to make sense. I always pick rich colours that complement each other, and one single pattern. Try to think outside of the white T-shirt! I think in terms of movement and function of fabric (dresses to hold, pockets to put hands), and never overlook the importance of shoes! 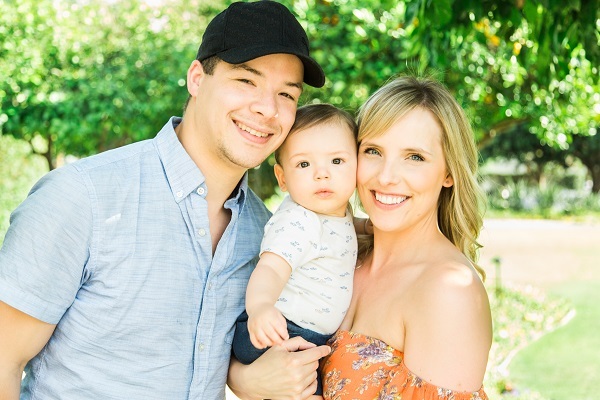 *the last photo is of Erin's gorgeous family! So if you want to see how a photographer would style her family for a photo session, here you go! 1. Instead of everyone matching, try to pick a couple of colors that look nice together and then choose clothes that will fit in that color scheme. 2. Most likely the portraits will be displayed in your house so when selecting a color scheme for your outfits, take your house decor and style into consideration. 3. As a general rule try to avoid shirts with large logos or images on them as that can be distracting in the photo. 4. Texture is your friend! A knitted sweater or scarf can really add a nice component to a picture. Just keep in mind that less is more here and not everyone in the photo should wear texture. One or two textured pieces can really look nice in the finished product. 5. Make sure your outfits are comfortable. If you have young children and they feel miserable in their clothes, regardless of how cute the outfits are, the photos will suffer. It's more important to be comfortable so the photographer can capture who you really are and the love you share through our lens. I get asked a lot as a lifestyle photographer from my clients on what to wear for the photo-shoot. To be completely honest, I am the same way when I am getting my photos done and I am a photographer for a living! So you are not alone in thinking this. 1. Get dressed up! The more you get dressed up the better the photos turn out. Don't be afraid to put on that fancy coat, cocktail dress, or new boots. 2. Stay away from neon colors including red! Camera's have a hard time with red and neon colors, they tend to get easily blown out in photos and have no detail or texture to your clothing. You don't want to look like you jumped in front of a green screen at a movie set! 3. Patterns are great to wear, navy blue looks good on everyone! lol. Maxi dresses are great for women, dark jeans and a button up are great for men. 4. Take a look at my outfit suggestion page to get an idea of clothing options and what stores to buy them at. 5. Make sure you are wearing something you and comfortable in. Time and time again I get clients that go online (Pinterest, Google, etc.) pick out a photo, and wear exactly what the models wore. If you are uncomfortable that will show in the photos. So don't sabotage yourself, find something nice, make sure it is comfortable, and have fun with the shoot. It doesn't have to be this stiff, awkward thing. I love this advice so much! Coordination over matching, play with small amounts of patterns, texture and pieces that move. Avoid red or neon colours. If you want to dress up, do it! Just make sure you are comfortable! A huge thank you to these talented ladies for helping us all figure out once and for all what we need to wear in our family photos.Go head over to their instagram pages and give them some love xo. Don't forget to pin or bookmark this post so you have it on hand the next time you get your family portraits done!